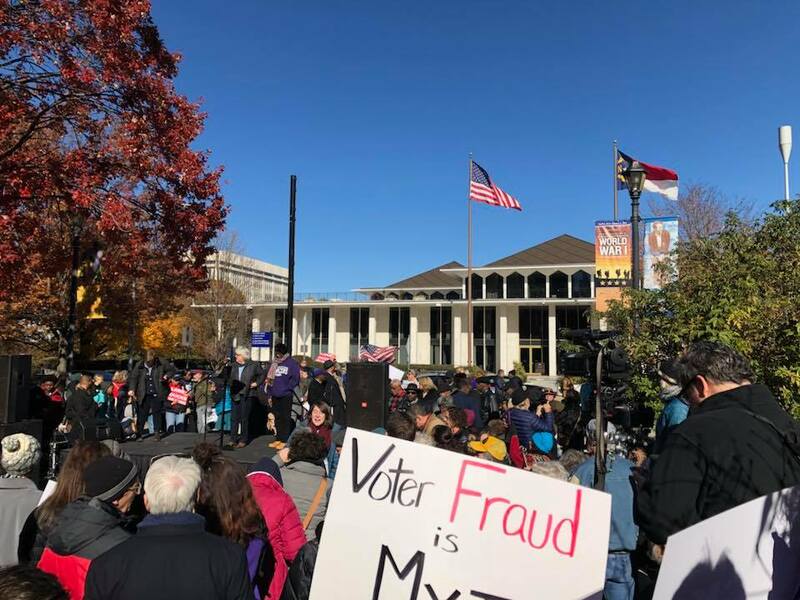 Read about that at “New voter ID bill moving fast through Legislature,” 11/28/18, NC Policy Watch. People can still help by going to the Legislative Building and bearing witness in the galleries (as above), and also by writing your representatives about what they should be doing (hurricane recovery or at least less damaging voter id bills). We don’t know what else they may pull. The so called public hearing on voter id on Monday, 11/26/18, was an exercise in inviting your own people to echo your own talking points. 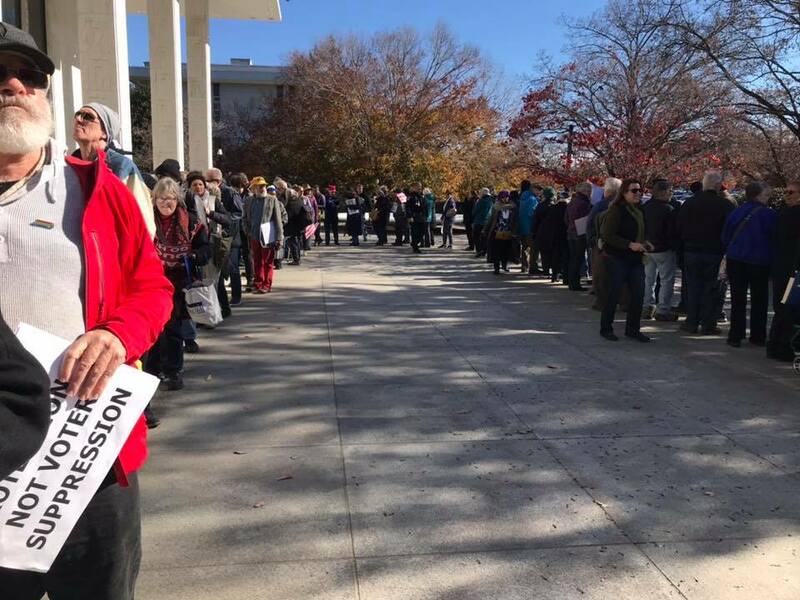 WRAL wrote about the meeting at “Editorial: Open access to N.C. polls needs to be part of voter ID script,” 11/27/18. The hearing began at 10am the day after Thanksgiving weekend, and was set up just before Thanksgiving. 10:45 am Press Conference at Bicentennial Mall (across the street from Legislative Building). Many speakers including Rev. 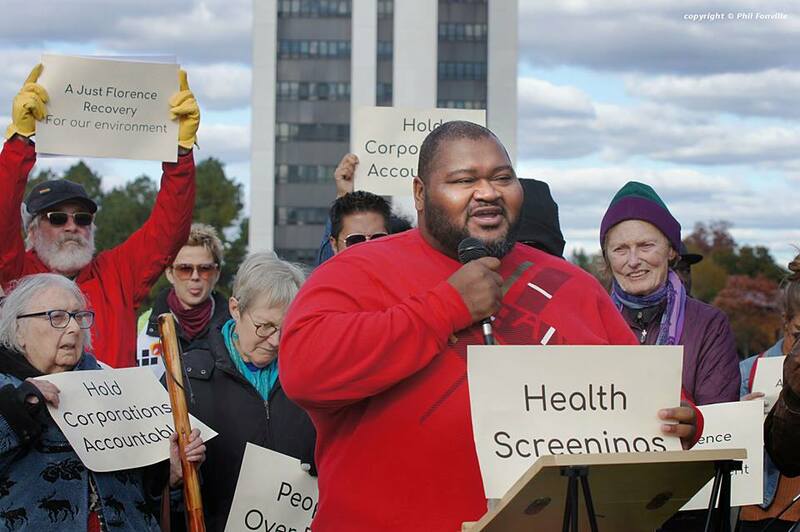 William Barber, Melissa Price Kromm (North Carolina Voters for Clean Elections), Tomas Lopez (Democracy NC). Jen Jones from Democracy NC was emcee. 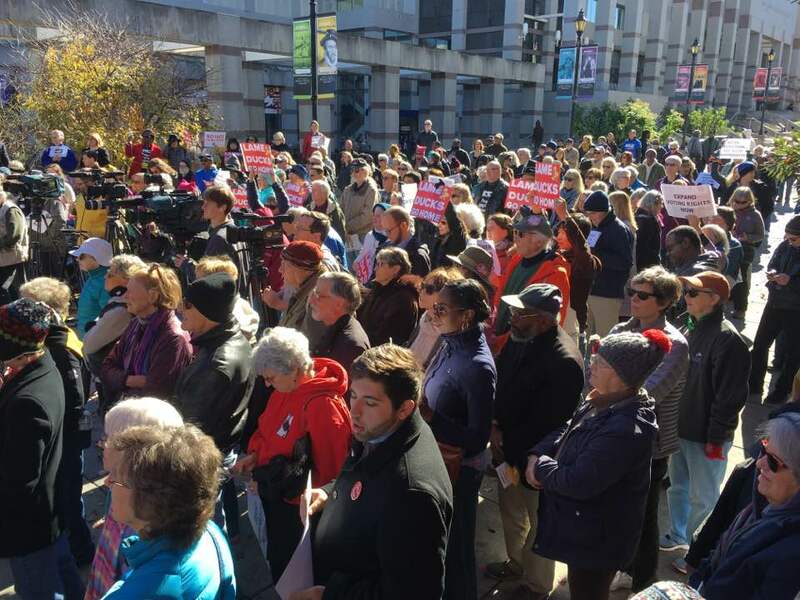 See highlights from the press conference and read more about voter id bill at “Lawmakers – and protesters – convene on voter ID. 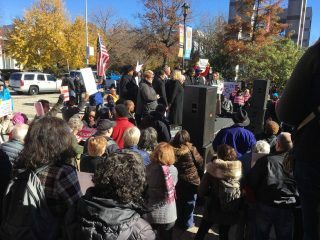 Here’s what the latest bill does,” 11/27/18, News and Observer. Very large crowd at the press conference at Bicentennial Mall, before the latest special session started. Hundreds of people here, to both sides, and even in back of the stage. After the press conference, we lined up by twos to enter Legislative Building. People now have to go through security. Line looped like this and backed up to the street. Many of us got through before noon, when the sessions were supposed to begin. However, I heard some people were still in line at 12:30pm. 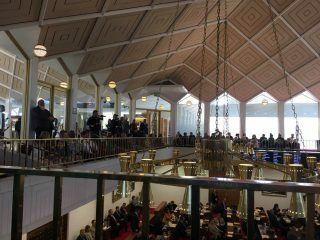 All seats taken in NC House gallery for sessions that were supposed to begin at noon. 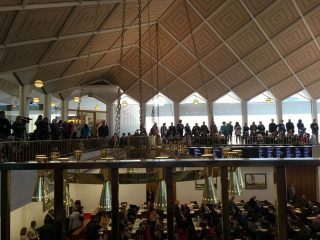 The NC House session began late. People who came later had to stand, and more came. 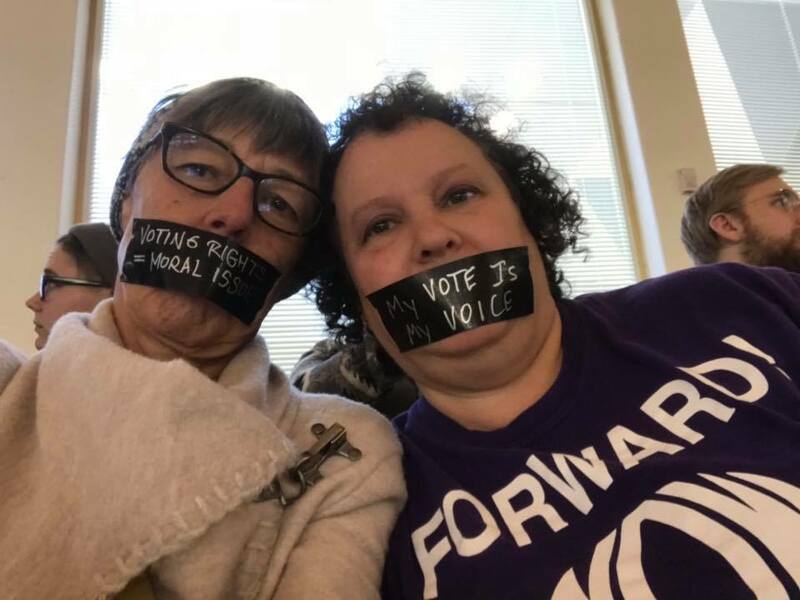 Lots of people taped their mouths shut to show how voter id would take away peoples’ votes and voices. 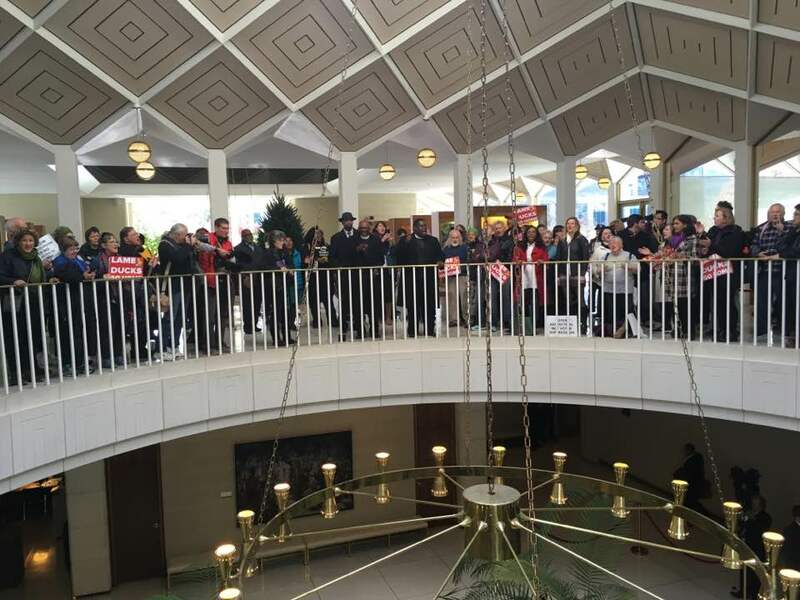 After the NC House session ended, many people ended up in the atrium between the galleries. Rev. Dr. Spearman spoke a bit, and then we sang. 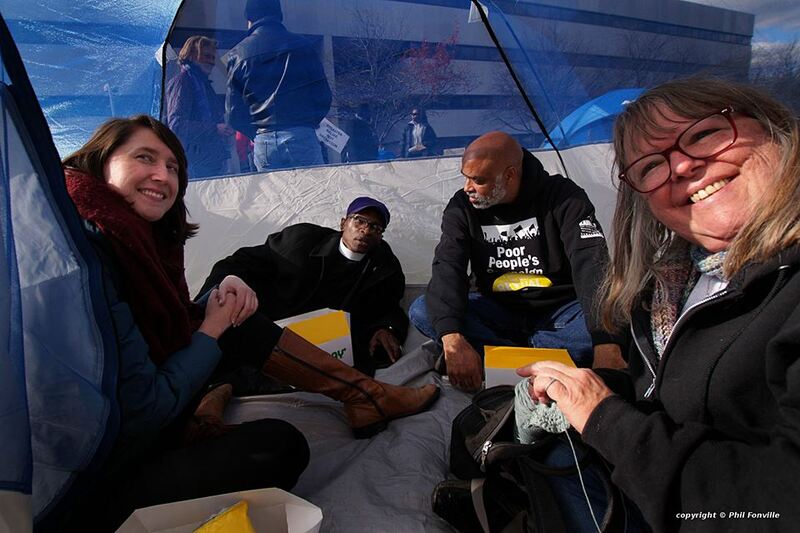 Tents outside on Halifax Mall, signifying that many Hurricane Florence survivors do not have safe stable places to live. Lucky ones live with relatives or friends. Others live in condemned houses without electricity or water because they have nowhere else to go. Here is inside of one of the the tents. Press conference outside. This doesn’t show how many people were out here – I’d say 70 in back of speakers and twenty more in front of speakers. Spectrum was there videoing, and I think ABC11. Looking for coverage. This entry was posted in constitutional amendment, ncga interference, power grab, protest, voter id, voter suppression, voting and tagged constitutional amendment, power grab, voter id. Bookmark the permalink.